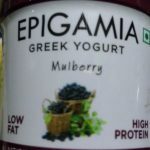 Epigamia is a Greek Yoghurt brand available at many outlets and through online shopping portals as well. We are concerned about the added sugar content in this product at 9.60 gm per 100 gm, which is quite high and is close to half of a full days sugar allowance for a healthy adult. People consume this product assuming that it is good for health and we do not think any product with so much added sugar is a health food. We are concerned about the high amount of sugar in this product, as consuming just two servings totalling 200 grams will be almost near the recommended total daily sugar allowance even for healthy people! Health conscious people consume such products without fully understanding the health damage that added sugar causes. We would therefore not advise people to consume this on a daily basis as added sugar from various sources adds up and can cause obesity, diabetes and a host of other lifestyle diseases. Products with added sugar should be consumed only in very small quantities and not frequently, even by healthy people. 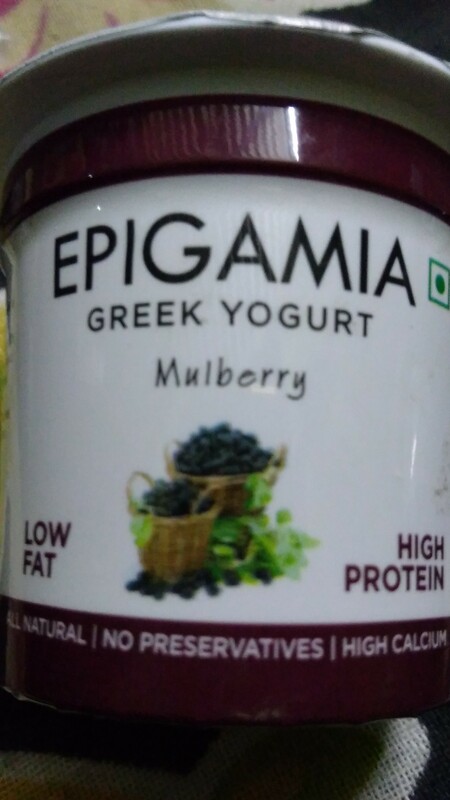 We like the fact that this product contains healthy and nutritional milk and milk solids, and also fruit, but we don’t like the fact that there is high amount of added sugar in the product. Different sugars have different metabolic effects. For example, Sucrose (Cane Sugar) is very different from Fructose (Fruit Sugar). Some foods use high fructose corn syrup which may be harmful in much lower quantities than sucrose. We believe that it is not responsible behaviour for a brand to not clearly state what ingredients have been used. 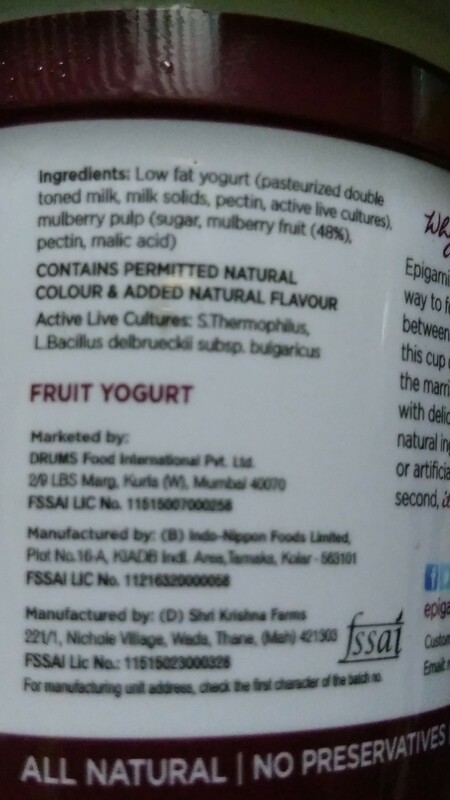 This food product does not specify which flavouring substances have been used. The flavouring substances should be specified as some of them have serious side effects and may not be suitable for infants, pregnant women or people who are allergic. 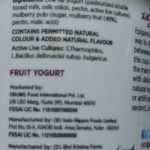 We believe that it is not responsible behaviour for a brand to avoid clearly stating what ingredients have been used. By not specifying what these flavouring substances are, we are forced to consider what they are hiding and why would they be so reluctant to mention what they have used in the food product! By this behaviour, these manufacturers expose people to possible allergens or toxins that could be avoided if consumers knew what they were.